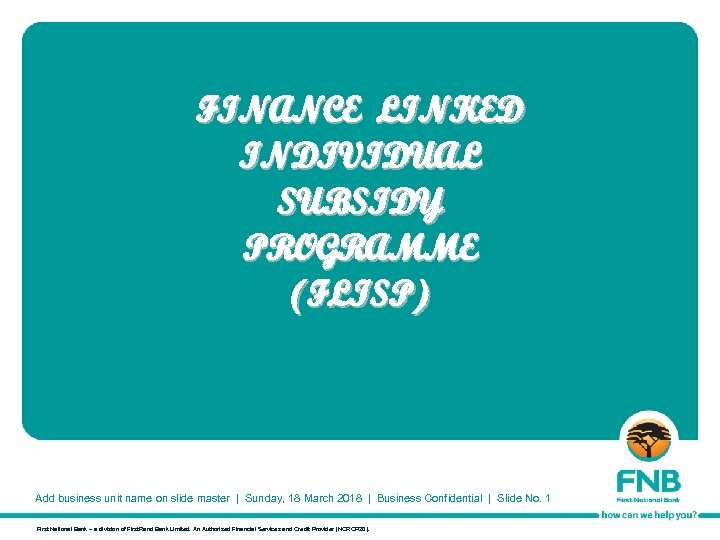 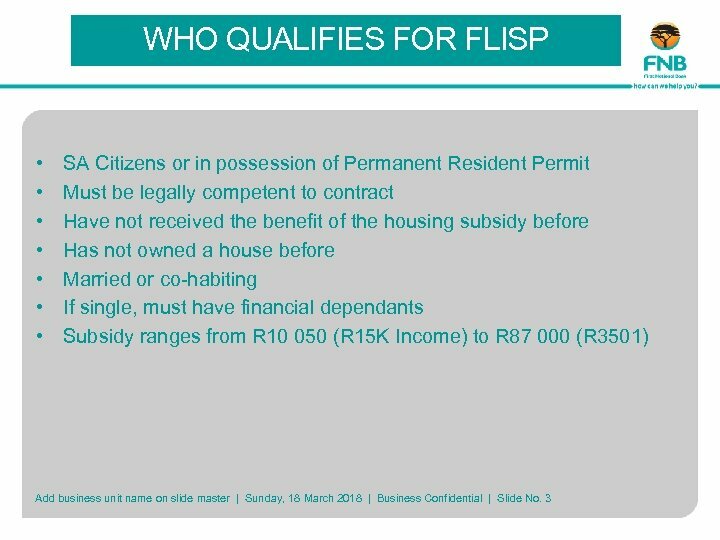 FINANCE LINKED INDIVIDUAL SUBSIDY PROGRAMME (FLISP) Add business unit name on slide master | Sunday, 18 March 2018 | Business Confidential | Slide No. 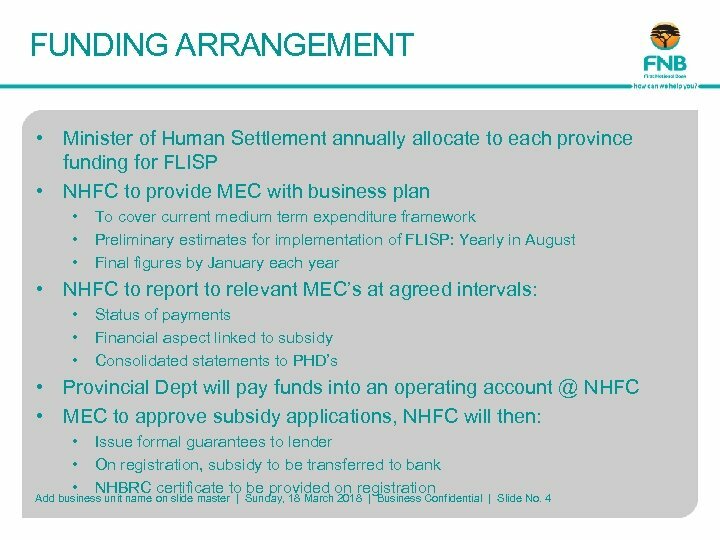 1 First National Bank – a division of First. 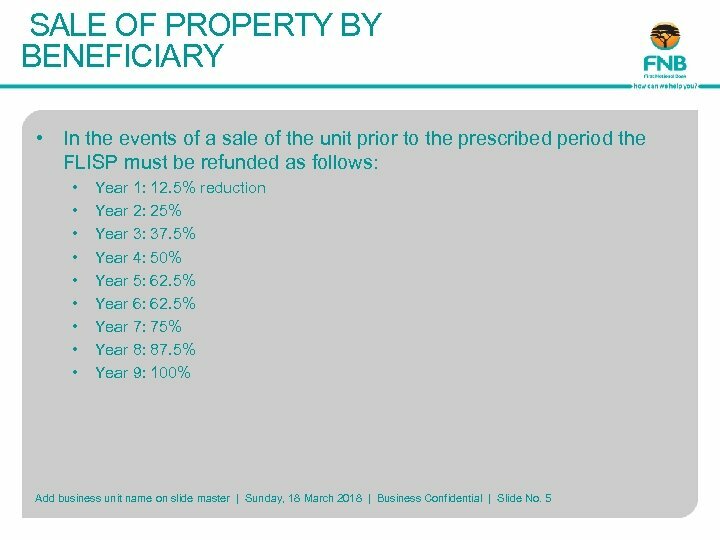 Rand Bank Limited. 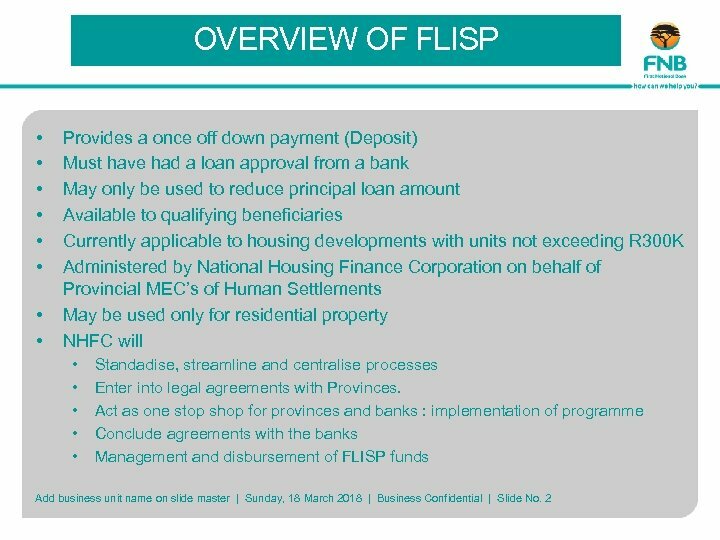 An Authorised Financial Services and Credit Provider (NCRCP 20).